It is really easy, you won't even have to measure anything the next time. It lends itself to many variations (a lot of other veggies will work). You can make a LOT of it easily at one time (leftovers!). It is great either cold or hot. So if you are like me, you don't even have to heat it up at midnight during a kitchen raid. What follows is a recipe that should make plenty for several dinners and lunches. That's just how I roll, but you can cut it down if you aren't a big eater. If it feels like a lot to juggle at one time, just cook everything separately, you can always throw it all together at the end. No big whoop. 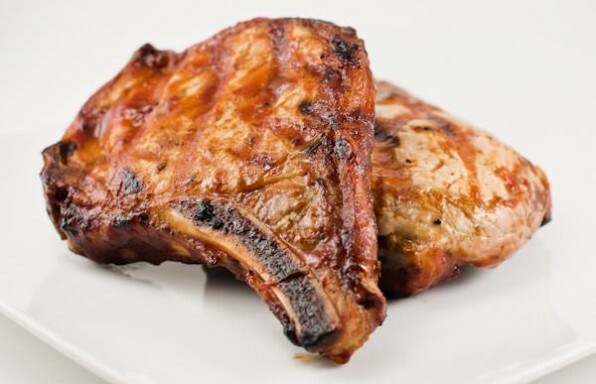 1Preheat the grill for high, direct grilling. 2Bring a pot of water to boil and cook the orzo according to the directions on the package. 3Season the chicken with some salt and pepper. I like to keep the chicken simple for this one because there is so much other prep work to be done. 4Grill the chicken breasts until they reach 160 degrees on an instant-read thermometer. 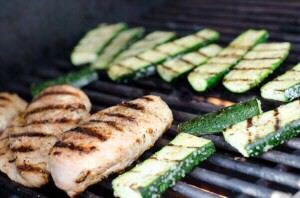 If you need refresher instructions on grilling chicken breasts, check out this article. 5Throw the whole red pepper on the grill at the same time. We want to roast that bad boy, so first step is charring (I mean black) all of the skin so we can peel it off easily later on. 6While the chicken breasts are cooking, brush the zucchini strips with a little olive oil and then dust them with some salt and pepper. 7Grill the zucchini next to the chicken. They should only take about 2 minutes on each side. Again, if you want to read more about grilling zucchini, here are more details. 9At this point, your red pepper should be nicely charred. Put it in a bowl and cover with plastic wrap. The steam will continue to roast the pepper, as well as loosen the skin. Here are complete instructions on roasting a red pepper. 10Cut the grilled chicken, zucchini and roasted red pepper (make sure you followed those directions above and peeled off the charred skin) into bite-sized chunks and combine in a large bowl. 11Add the hot (but drained, do I have to mention that?) 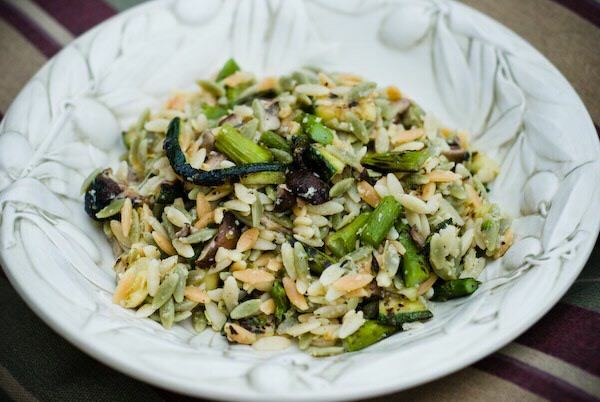 orzo pasta to the bowl. 12Stir in the goat cheese and lemon juice and combine everything, allowing the hot food to get that great goat cheese all melted and gooey. Yum! 13Serve hot or refrigerate for tomorrow's lunch.